Fhoss Vs Bristol Rovers FC footage edited and live! Fhoss Vs Bristol Rovers FC! Fhoss were kindly hosted by Bristol Rovers FC at the Memorial Stadium last night for their league 2 clash against Hartlepool which they went on to win 4-1. 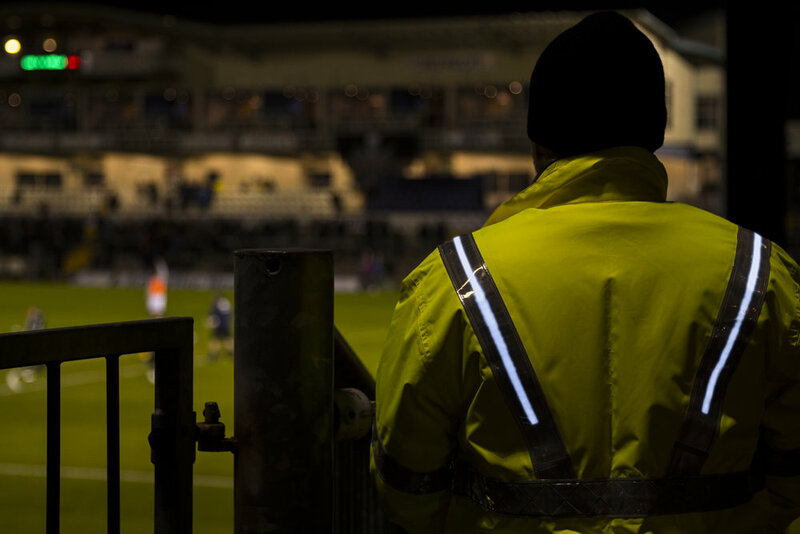 A section of BRFC stewards were wearing our products for trials and we were on hand with a film crew to capture the footage. The trail was successful with all the wearers suitably impressed. Watch this space for the edited footage and more soundbites. Good luck to Bristol Rovers for the remainder of the season.